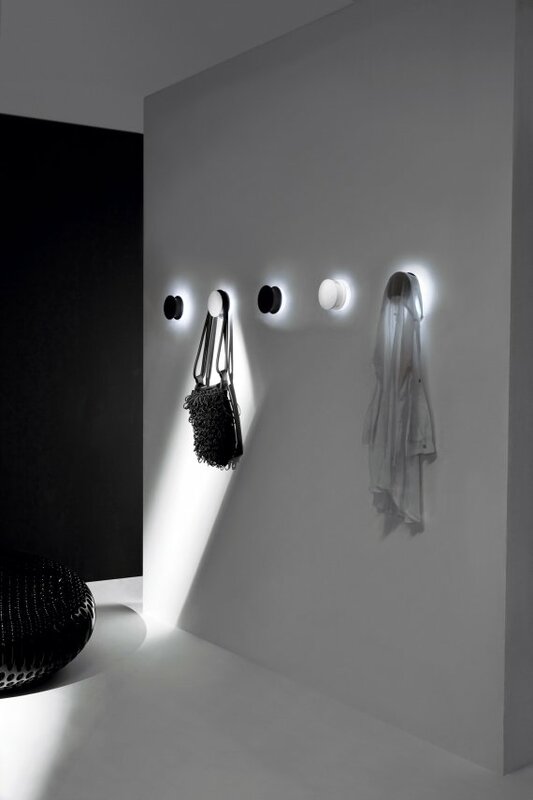 Alone, is a new coat hook that is also a wall light from the Italian manufacturer Pallucco. Visit the Pallucco website – here. 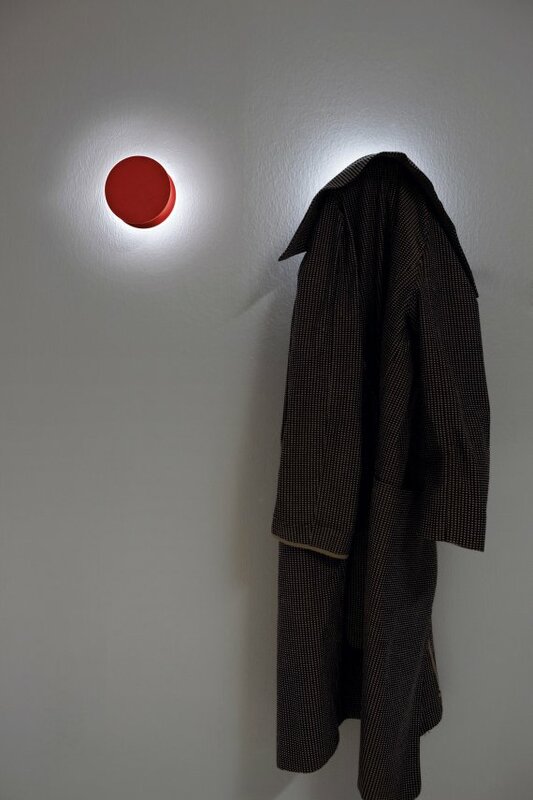 Alone, an “illuminated circular outline”, a coat hook that casts an eye at the concept of a wall light. Its clear-cut, linear design is enhanced at the rear by an opal finish ring that fills with white light creating a bright halo focusing on the hanging garment.Alone can be used in various ways – on its own, in a row or randomly scattered – contributing with its light to outlining visual and functional paths, while furnishing and enhancing also the narrowest and dimmest corners on the home. 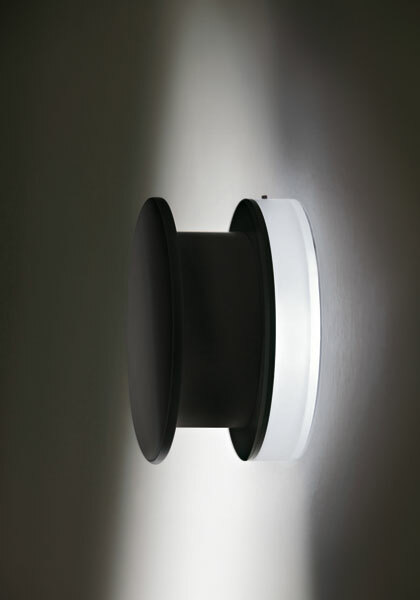 It is available in two versions:for connection to mains voltage ,with wall on/off switch and fitted with 3 high-efficiency white LEDs or battery-powered with push on/off switch located on the opal finish ring and a battery charger as optional, fitted with 1 high-efficiency white LED. Materials: opal diffuser and frame in polycarbonate – available in a white, red or black.